53 years after the iconic Oscar-winning original, the world’s favourite nanny floats onto the big screen once again in this musical reboot. 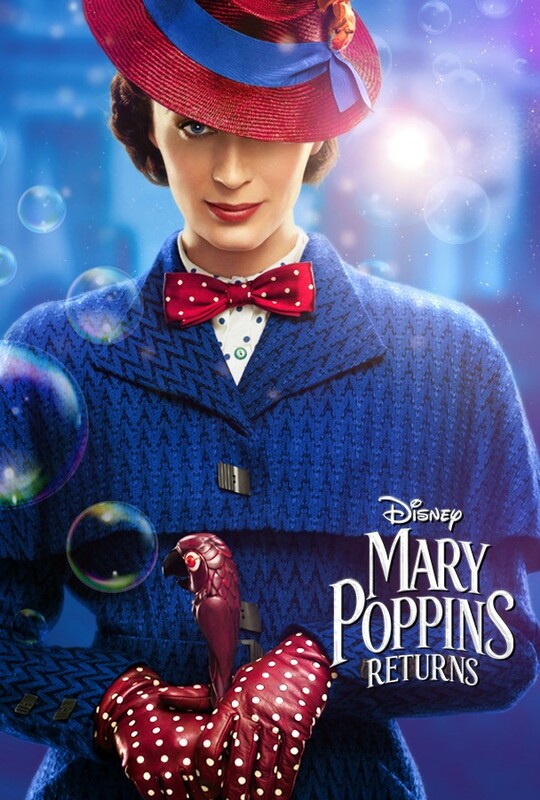 Set in 1930s depression-era London, Poppins – delightfully portrayed by Blunt - visits the grown-up Banks children after Michael suffers a personal loss. Inexplicably ageless, she uses her magical know-how to help the family rediscover their sense of wonder, along with jolly lamplighter Jack. Richly nostalgic, and full of supercalifragilisticexpialidocious fun, Mary Poppins Returns is a rapturous sequel.